The history of artists applying their talents to cars is a long one, with results often treading the fine line between masterpiece and monstrosity. 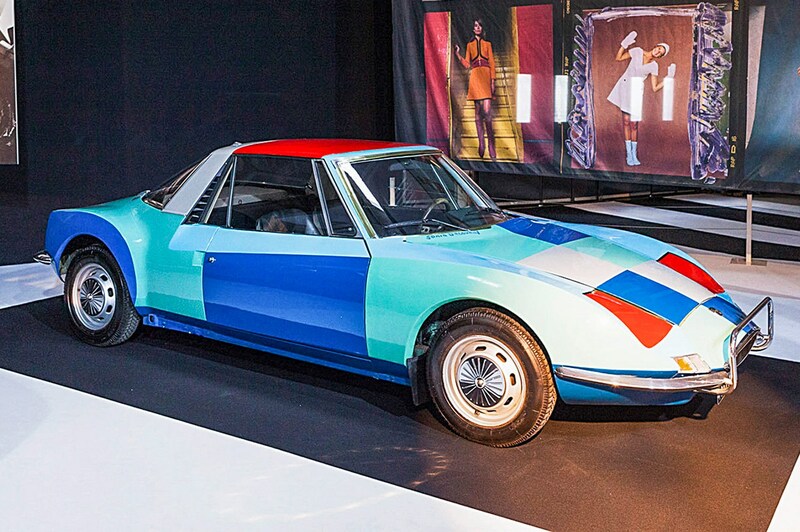 Abstract artist Sonia Delaunay liked to paint an art car or two, making a dress to go with her 1925 Citroën B12 and another blocky design for a 1968 Matra 530. Both predate, and may have inspired, the limited-production 1995 VW Polo Harlequin. 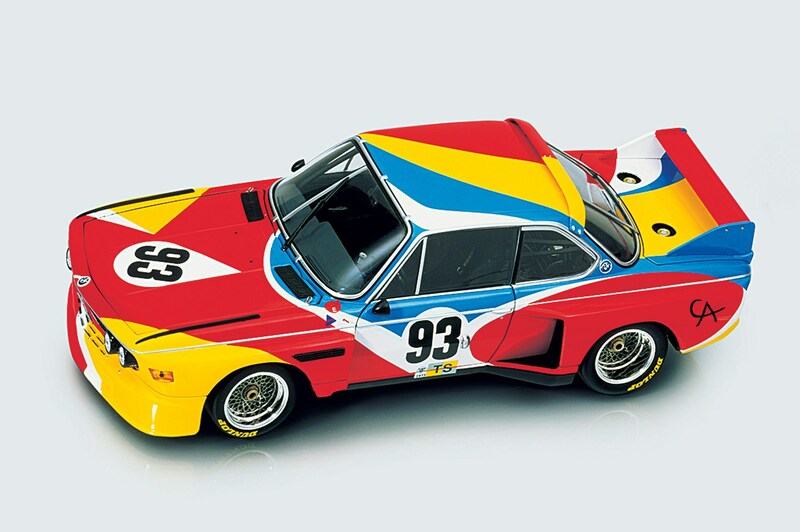 BMW's long-running art car series began in 1975 with Alexander Calder's race-spec 3.0 CSL, and it remains one of the best. Calder painted it for his friend Hervé Poulain to race in the Le Mans 24 Hours rather than as some marketing wheeze. 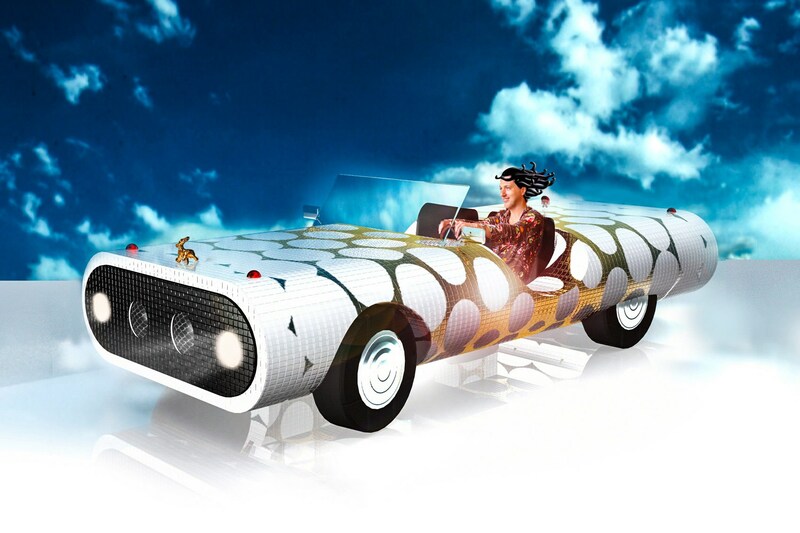 More of an industrial designer than artist, Dutchman Marcel Wanders nonetheless took an artistic approach to covering a VW Beetle chassis in fancy Bisazza tiles to create his Antelope art car. It's a runner too. Shiny. Italian design flair (from Giovanni Michelotti) helped Triumph make a decent sports car in the late '60s. 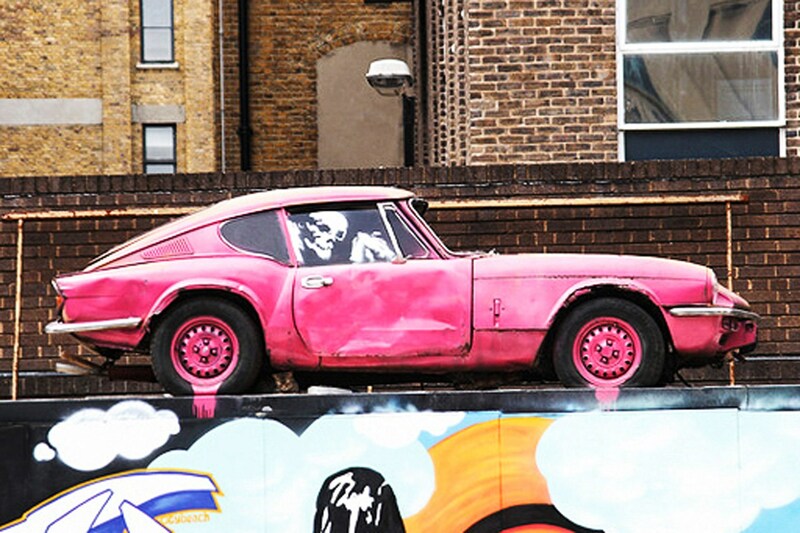 Some 35 years later a GT MkIII version randomly left atop a container in East London gained some British artistry via Banksy and an art car was born. 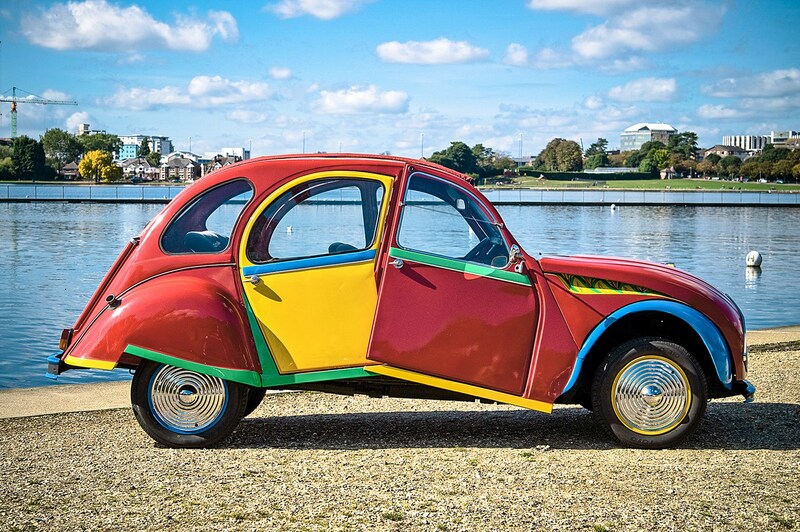 Inspired by the greatest artist of the 20th century, prolific British custom car creator Andy Saunders conjured up his asymmetric Picasso non-MPV from an assemblage of Citroën 2CV parts. A runner; good for 65mph, apparently. 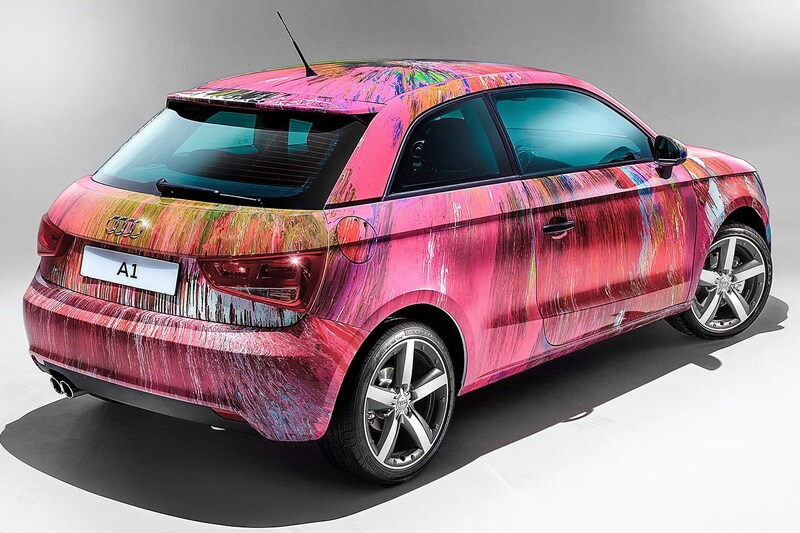 Hirst didn't preserve it in formaldehyde like his famous shark, but instead took the Audi A1 for a spin on his paint wheel. The colourful result raised £350,000 at a charity auction hosted by pop legend Elton John. 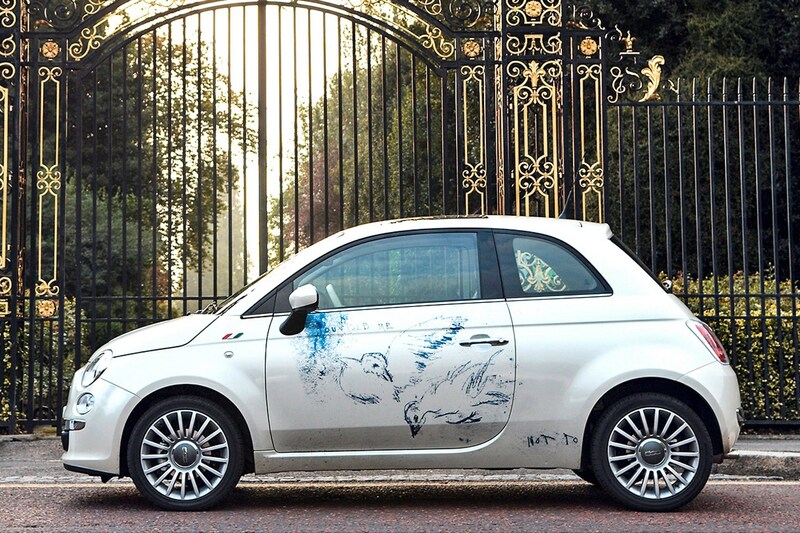 Earlier, Hirst had covered an original Mini with spots and given it to the Serpentine Gallery. 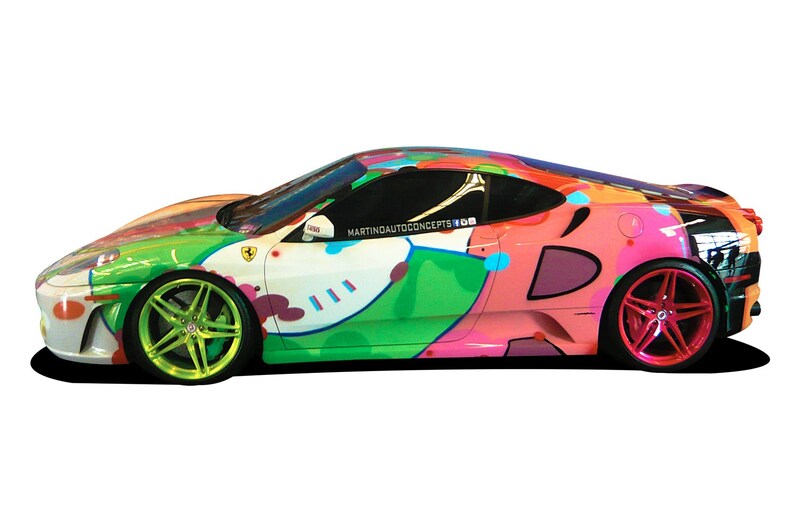 Genuine graffiti art legend Crash (featured in the seminal book Subway Art) spray-painted directly onto the body of this F430, which was then exhibited by Martino Auto Concepts at the 2015 NY Auto show. In a wrong/right sort of way it works in the flesh. 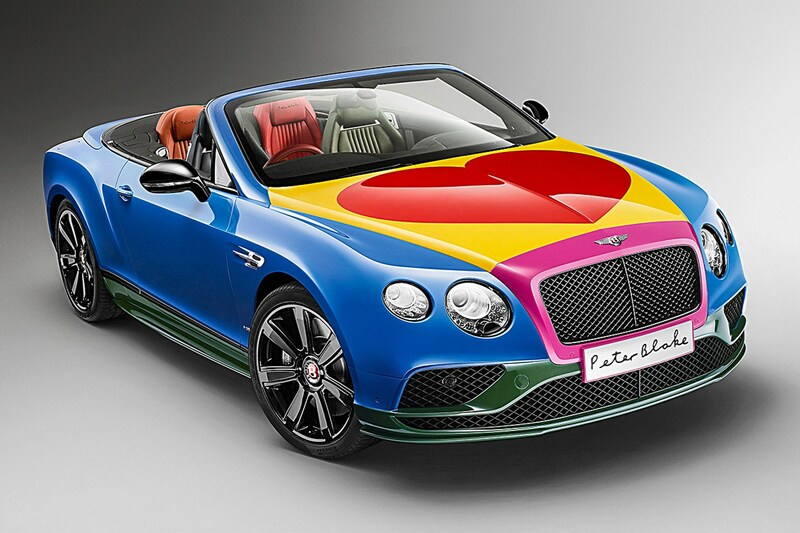 The pop art legend behind the Beatles' Sgt Pepper's Lonely Hearts Club Band album cover collaborated with Bentley's Mulliner division to paint a Continental GT and, while he was at it, trim each seat in a different colour too. Thorough. 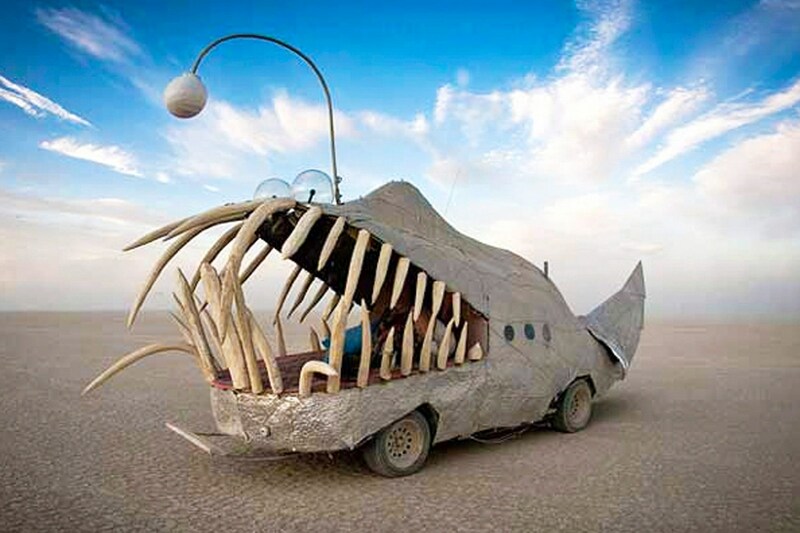 The Nevada-based desert festival for self-expression has also become a hub of automotive artistic and mechanical experimentation, resulting in an annual carnival of Mad Max-esque runners and riders. It's hard to pick out a single creation that represents the genre, although this one takes some beating.